When you talk about the Porsche 911, it means so many different things to so many people. 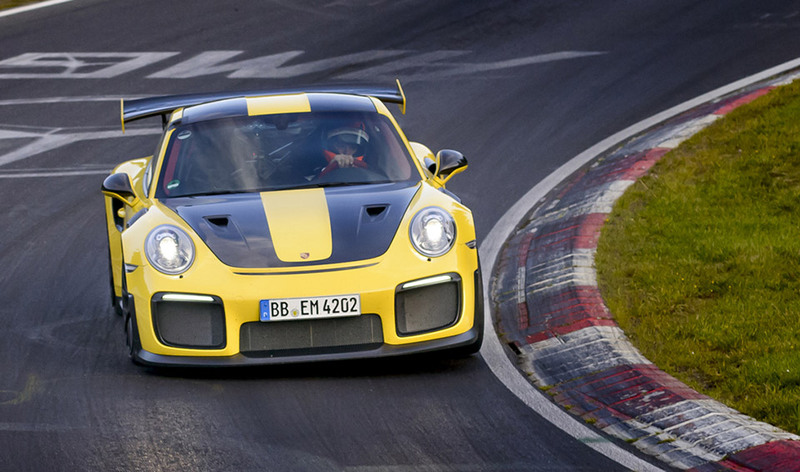 From its fun, yet humble origins in the 1960s, to today’s badass supercars like the 911 Turbo S and the bonkers 700 hp 911 GT2 RS, which just happens to have stolen the record for the fastest lap ever around the Nürburgring Nordschliefe in a production, street-legal car, turning in a time of just 6:47.25. Driver Lars Kern – who previously clocked a a 7:12.7 time in a 911 GT3 was the man behind the helm of this rocketship on wheels, besting cars like the Radical SR8 LM, Lamborghini Huracán Performante, and even Porsche’s own 918 Spyder. You can check out the on-board footage of the record-setting lap below. It’s incredible how smooth and precise Kern and his car are as they zoom through the Green Hell with surgical precision. In fact, the lap was so flawless and uneventful that the on-board footage is almost boring. So if you’re looking for something with a little more excitement, Porsche put together a flashy little highlight reel to celebrate their accomplishment. Kudos to the Porsche team for an amazing achievement in an incredible car.